Bringing farm fresh produce to the Brookside neighborhood since 2003, Brookside Farmers' Market is a lively community of local growers and producers sharing organic and non-GMO food with Kansas City eaters. 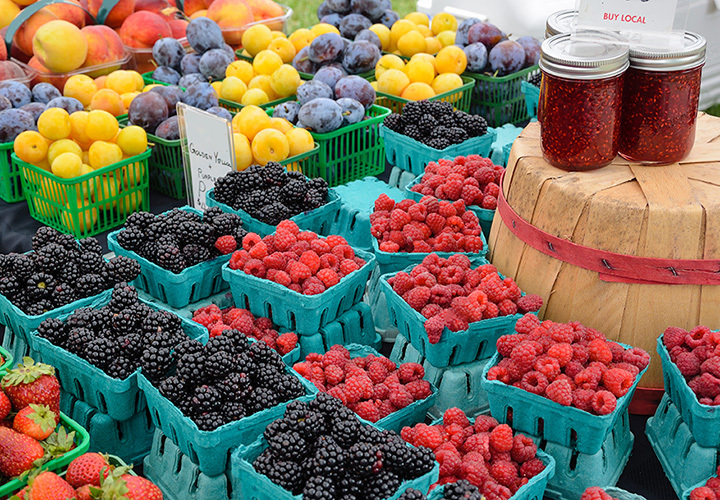 Brookside Farmers' Market is an organic, local, vendor-only market which means all producers use organic, sustainable and cruelty-free practices, travels less than 100 miles to market, and those who grow, raise or make every product are the ones who sell it to you directly. Many veggies even come from KC's urban farms! Each Saturday you will find just-picked, farm-fresh vegetables and herbs, bright flowers, delicious meat, eggs from free-range chickens, artisan and farmstead cheeses, handmade products for home and body, freshly prepared breads and baked goods including many vegan and gluten-free items, ice cream, the famous Brookside Breakfast Burritos and a place to sit and visit.